This Friday we’re traveling through the 20th century during Late Night with a different decade highlighted every hour. We asked one of our favorite costume gurus, Breanna Cooke (you may remember the amazing Greek Hero look she created inspired by The Body Beautiful), for tips on how to dress for a time traveling evening. 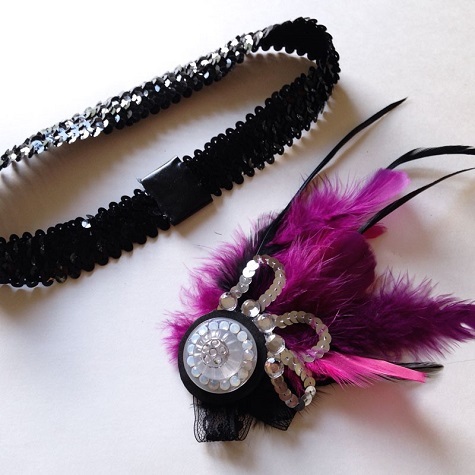 The evening kicks off with a tribute to the 1920s-30s, so here’s how you can make a flapper headband and then put together an outfit. Measure a piece of elastic or fabric to fit around your head. Then use hot glue, tape, or needle and thread to attach the ends together. If you’re taping or gluing it together, overlap the two ends. Don’t worry about the seam—you’ll glue your embellishment on top of it. 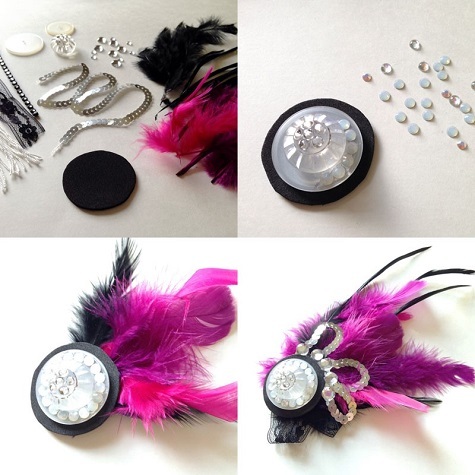 Using a small circle of craft foam (or a large button) as a base, start gluing rhinestones, sequins, and buttons on top. Get creative and use what you have lying around at home. Then glue some feathers or fringe to the back of your craft foam base. 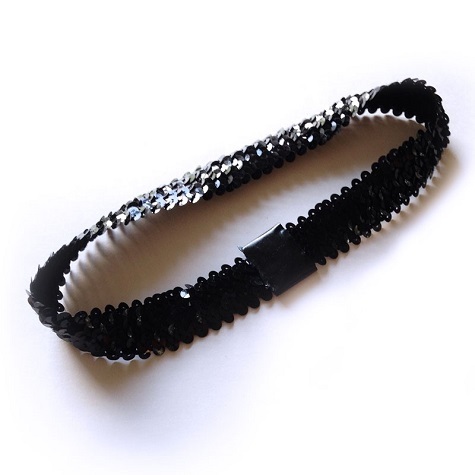 Using hot glue, attach your embellishment to your headband. Be sure to stick it on top of the seam to hide it. It’s still hot in Texas, but a suit is a great accompaniment to your flapper friends. Find a bow tie, grab your fedora, shine your shoes, and we’ll see you at the DMA! 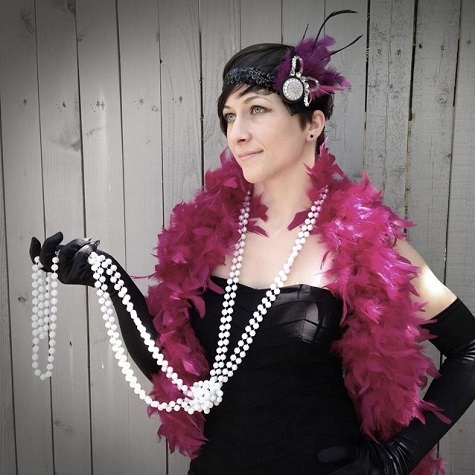 Once you have your costumes complete, come kick up your heels with the Matt Tolentino Band, who will be performing songs from the roaring 20s and 30s at 6:00 p.m. Check out the full night’s lineup online at DMA.org. Breanna Cooke is a Graphic Designer, Costume Creator, and Body Painter living in Dallas. To see more of her work, visit breannacooke.com. Check out progress photos of her latest projects on Facebook.